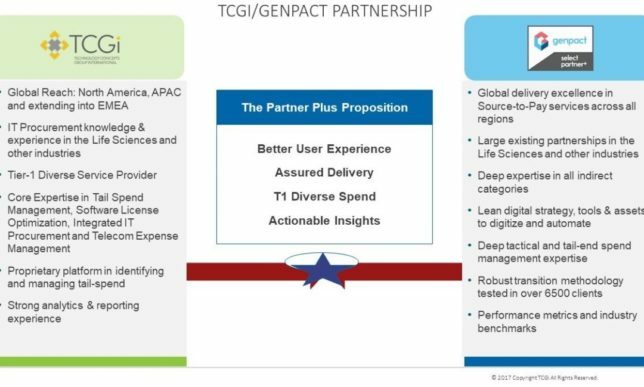 [SOMERSET, NJ – November 28, 2017] Technology Concepts Group International, LLC (TCGi) of Somerset, NJ is excited about expanding its capabilities as part of Genpact’s inaugural Partner Plus program. The Partner Plus program is geared to leverage a strong partner ecosystem to further drive digital-led innovation in the Consulting, Digital Technology and Industry Solutions fields. The joint-partnership is set to start immediately. You can find the official press release here. 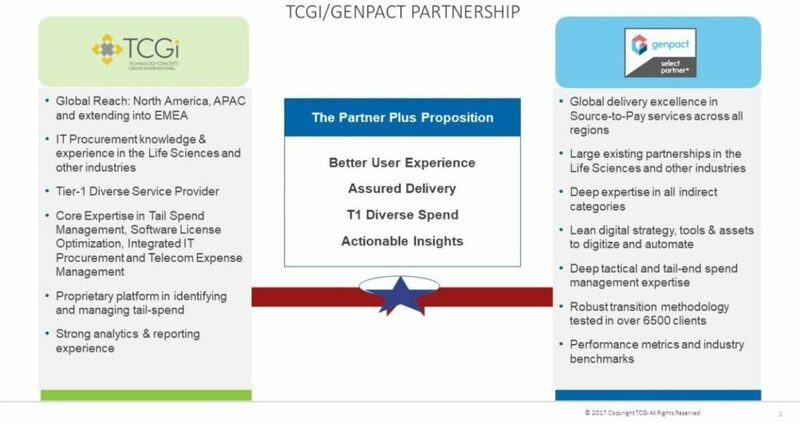 While TCGi and Genpact have been working together on a number of client opportunities for a while now, the Genpact Partner Plus program will provide a more focused approach to building innovative and market-leading joint services and platforms to accelerate client impact. TCGi brings a core of expertise in Tail Spend Management, Integrated IT Procurement, Software Asset Management (SAM) and Telecom Expense Management (TEM). We own a proprietary, cloud-based, collaborative P2P software platform that automates the entire procurement lifecycle. As a Tier-1 Diverse Service Provider, TCGi has a deep roster of diversity and procurement executives to which we can offer our combined solutions. There are currently eight companies that are part of the initial Partner Plus program with more to be announced throughout 2018. Technology Concepts Group International (TCGi) is an asset, expense, and procurement management firm with offices in New Jersey, Chicago & Singapore. TCGi enables companies to drive costs out of their procurement operations by simplifying and automating processes, reducing the supply base, efficiently managing supplier invoice payments, and implementing extended payment terms. 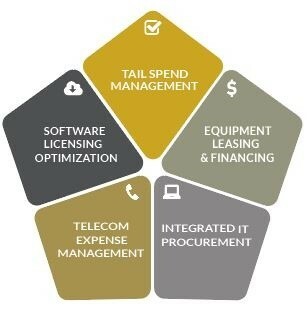 TCGi Solutions include: Comprehensive Tail Spend Management, Leasing and Financing Service, Integrated IT Procurement, Telecom Expense Management (TEM), Software License Management and eProcure™ our cloud-based, collaborative, procurement platform. In 2017, TCGi was ranked #3 of the 50 Fastest-Growing Women Owned/Led Companies by the Women Presidents’ Organization and American Express. Genpact is a global professional services firm that makes business transformation real; driving digital-led innovation and digitally-enabled intelligent operations for clients. 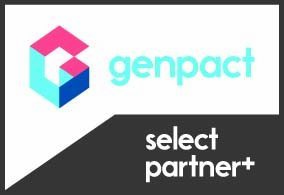 Genpact began in 1997 as a business unit within General Electric. In January 2005, Genpact became an independent company to bring processes expertise and unique DNA in Lean management to clients beyond GE, and then in August 2007, became a publicly-traded company. Bain Capital became Genpact’s largest shareholder in November 2012, with the strategic objective to grow the company further. Since December 31, 2005, Genpact has expanded from 19,000+ employees and annual revenues of US$491.90 million to 77,000+ employees and annual revenues of US$2.57 billion as of December 31, 2016.